Board the train at Delhi to reach Agra. After the traditional welcome, carry on with the registration formalities and board to the train. We are likely to munch brunch during journey and reach Agra. With no further delay, we are going to see the most awaited Agra Fort in the City of Mughal Splendour. You will really be interested to take part in the champagne evening. Agra - Ranthambore – we open the day little earlier, as you all will be amused to sightsee Taj Mahal, the expressive beauty of the world. We savour you the local country-side delights, while we are on the way to Ranthambore. This national park offers you the most exciting game, post lunch. We reach Jaipur and first travel to the Amber Fort and get impressed by the beauty of love. Your family will find the elephant polo match, a definite enjoyment. Delicious lunch on the way! Shopping lovers can fill their bags with jewels and apparels in this Pink City Jaipur. Choose to rejuvenate yourself in the Spa treatment. You can also go to the City Palace and Jantar-Mantar. 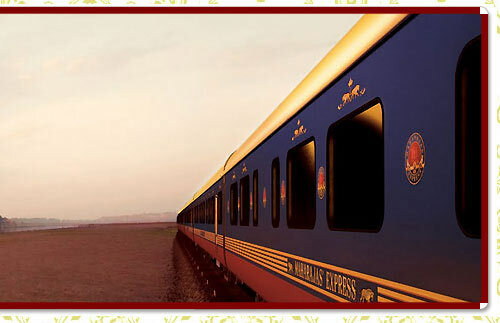 Tour in the Maharajas' Express ends with an appetizing breakfast on board at Delhi. 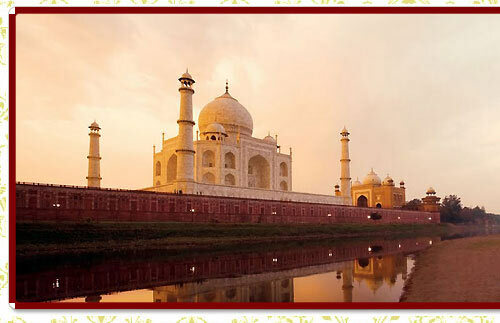 Treat your eyes with the most adorable Taj Mahal. Champagne evening! The tariff of the Maharajas' Express includes accommodation, meals, beverages (light drinks, tea, coffee, and mineral water), Indian wines (in house brands), butler service, and porter-age at stations, guided tours and entrance fees at monuments. The tariff however does not include taxes, insurances, alcoholic beverages, telephone calls, laundry, and fees of video and professional cameras. *The above cost is a per person per Journey Cost. # Service Tax will be extra as applicable. *Prices are subject to change in case of any amendment in the routing or any other hikes such as fuel, taxes etc. *Children below 5 years of age can travel for free.